Amazon Web Services is leading the cloud market with the highest share value. Now, it has turned into an 800-pound gorilla in the cloud market. AWS has dominated the cloud market in the year 2017 and will continue the same in 2018 as well. Not to mention, IT professionals are moving towards AWS cloud. AWS has launched a number of certifications to validate the candidate’s expertise in AWS depending upon experience and interest. In this article, we will provide a step by step guide for the preparation of AWS Developer associate exam. Let’s start with an overview of the AWS Developer Associate exam. According to KeyBanc Analysis Report 2018, “AWS cloud market share is 62%”. The AWS certified Developer associate exam validates the candidate’s expertise and technical knowledge on developing and maintaining applications on AWS. The AWS Developer Associate exam is a comparatively easy exam. You need to have an understanding of designing, developing, and deploying services on AWS. Thinking if you have chosen the right certification? 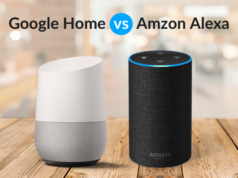 Read out the article – Which AWS Certification Should I Choose? The first step to start preparing will be to get hands-on practice on AWS services. You can sign-up for the AWS free-tier account. This free-tier account gives you access to almost all the services AWS provides and it is a good practice for you. The more you are familiar with the AWS services the more it is easy for you to clear the exam. AWS provides the exam guide on their official website. 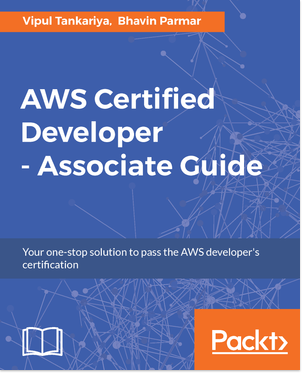 Download the Aws certified developer preparation guide and use it as a reference for your preparation. The exam blueprint is also available which gives the breakdown of the topics you need to study and their weightage. So go through it thoroughly in order to get to know what you need to study for the AWS Developer Associate exam. The AWS developer certification sample questions are available on the AWS official website. Do not forget to go through the sample questions as they will give you an idea of how questions will be asked. Also, it helps you understand how much you know about the AWS services and will help you focus on your strength and analyze your weaknesses. 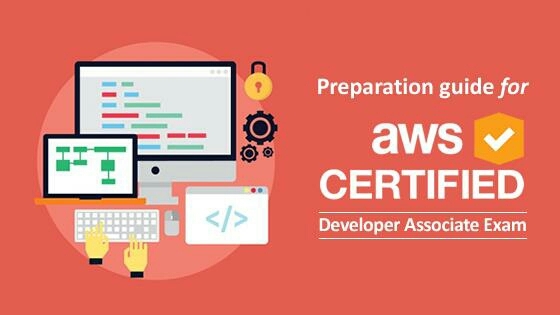 Getting the right books for AWS Developer Associate certification exam will help you in the preparation. Good books are the key to better preparation and add value to what you already know. AWS has recommended some books for AWS Developer Associate exam. There are a number of other books that will serve the purpose of providing a study guide for you. If you have any doubt while reading whitepapers, books etc. the training will help you clear that. There are many online training providers in the market, you can choose one. 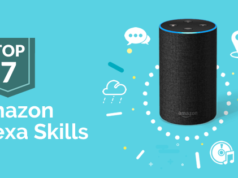 Whizlabs is a pioneer online certification training provider and aims to help you pass the AWS Developer Associate exam with AWS Certified Developer Self-study Training. Practice tests are a must in order to validate your current level of preparation. Practice makes you perfect. And the practice tests help you understand your strengths and weaknesses. Take as many AWS Certified Developer Associate Practice Tests as you can before the final exam. This will boost up your confidence and help you clear the exam. Preparing for AWS Certified Developer Associate Exam? Check your current level of preparation with the Free Test. When you start preparing for an exam, you need to be clear about what to study. Focusing your mind on the important topics will help you get fully prepared for the certification exam. Here I’m listing some of the important topics you need to study while preparing for the AWS certified developer exam. 1. Amazon S3: S3 is storage for the internet. With S3 you can store, access, download data from anywhere on the AWS console. Understand what is S3 buckets and objects. Also, learn how to use S3 buckets and objects on API. Learn basics of Amazon S3 – How to Setup and Use Amazon S3 Service? 2. Amazon Elastic Compute Cloud (EC2): EC2 provides flexible computing scope in Amazon Web Services Cloud. It allows developers to run applications on the Virtual Machine. Learn how to install applications on EC2. Also get familiar with architectural adjustments, for example, RDS vs installing the database on EC2. 3. Amazon Simple Workflow Services (SWS): SWF or SWS helps developers build applications which coordinate with the components distributed. Get a good knowledge of SWS and the simple workflow concepts. 4. DynamoDB: DynamoDB is fast, reliable NoSQL database service. This is an important topic and gets familiar with DynamoDB secondary indexes, LSI/GSI, DynamoDB Cross Region Replication, DynamoDB Streams, DynamoDB Triggers, DynamoDB Costs. Want to learn the concepts of DynamoDB? Read this article – How to Use DynamoDB? 5. AWS Identity and Access Management (IAM): AWS Identity and Access Management enable you to manage access securely to the AWS services. Learn how to create user groups using IAM, AWS IAM Identities, MultiFactor Authentication (MFA), IAM Access Management. Also Read: High Availability Using Amazon RDS Multi-AZ and Read Replica. 7. AWS Lambda: AWS Lambda provides serverless computing. It allows you to build and run applications, regardless of the servers, provided by AWS. Learn about Lambda Functions. 8. DNS, Route 53: Amazon Route 53 is scalable and highly available cloud Domain Name System. Learn about Domain Registration, Domain Name System services, Health Checking. These are some of the recommended books for the AWS Certified Developer Associate Exam. Read these books thoroughly as they provide a lot of information on what is required to be studied and provide a detailed study guide for you. Make notes from these books and use it as the reference for your pre-exam preparation. Here are the top 5 books you can refer to while preparing for the AWS Certified Developer Associate exam. This is an effective study guide for candidates who want to start a career as an AWS Developer. It is a useful book for those who are preparing for the AWS Certified Developer Exam. It contains detailed descriptions on how to create and manage user groups. 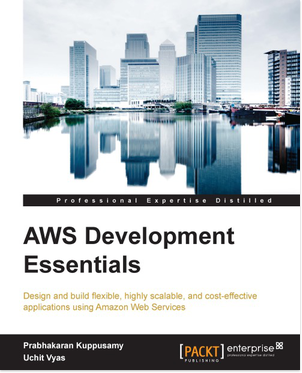 This book covers all the topics related to AWS Development. The book also includes a lot of exercises, practice questions and mock tests that will help you clear the exam. 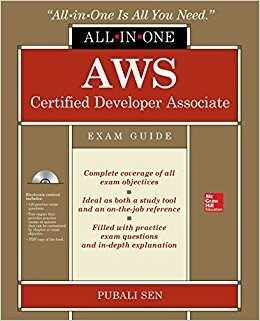 This AWS Developer book is for you if you want to get a complete study guide on how to prepare for the AWS Developer associate exam. It provides detailed descriptions and explanations of the topics you need to study while preparing for the exam. It is a good guide for people preparing for the exam and also for professionals who are working on developing apps on AWS. 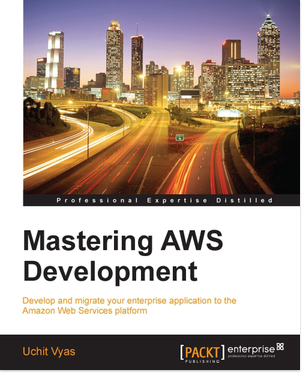 This book is a detailed guide on how to develop, administer and monitor applications on AWS. Written by Uchit Vyas, this book provides you with the knowledge of all the AWS technologies necessary to prepare for the AWS Developer Associate exam. By the end, you will be having knowledge of AWS Cost-Control Architecture, troubleshooting, AWS Billing, etc. 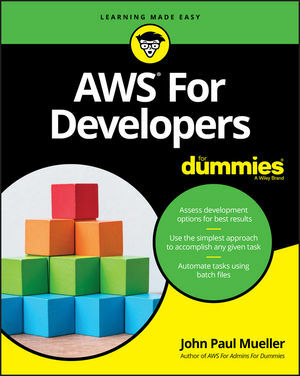 The AWS for Developers for Dummies is an essential guide. You will get the detailed explanations on how to use AWS services when developing applications on AWS Console. Written by John Paul Mueller, this book will help you understand the IaaS for Amazon Web Services. This book is a great guide for expert programmers, developers, and architects who want to learn how to migrate to AWS. It gives explanations on how to deploy, develop, and manage applications on the AWS platform. It is helpful for people who are preparing for the AWS Developer Associate exam and also for people working on AWS. AWS Certified Developer Associate is one of the most sought-after roles and can fetch you a grand salary package. The average AWS Developer Associate salary can range from 100,000 USD to 137,825 USD per annum. It won’t be wrong to say that if you are an AWS Certified Developer Associate, your demand, as well as salary, will grow a lot in the IT market. According to Global Knowledge IT Skills and Salary Report 2017, the average salary an AWS Certified Developer Associate may earn is 116, 456 USD per annum. “Knowledge is of no use unless you put it to practice.” So, practice a lot, this will take you miles ahead. Practical knowledge will help you understand the nuances of the subject and help you clear the AWS Developer Associate exam. AWS Developer Associate professionals are highly in demand in the IT market today. Getting this certification will help you prove your credibility and knowledge in AWS. This preparation guide will help you master the AWS Development Associate exam objectives and you will surely clear the exam. 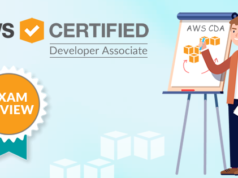 Whizlabs provides training and practice material for AWS Certified Developer Associate exam that will be beneficial for you to prepare and pass the exam. Not to forget, AWS Development professionals are among highest paid professionals in the IT industry today and getting certified will take your career to higher levels! which aws lambda is not covered in this version . If you have already purchased the practice tests, you will have access for New practice tests for new version of exam. You don’t need to buy them separately. Thank you for providing valuable information about how to prepare for AWS certification ! !